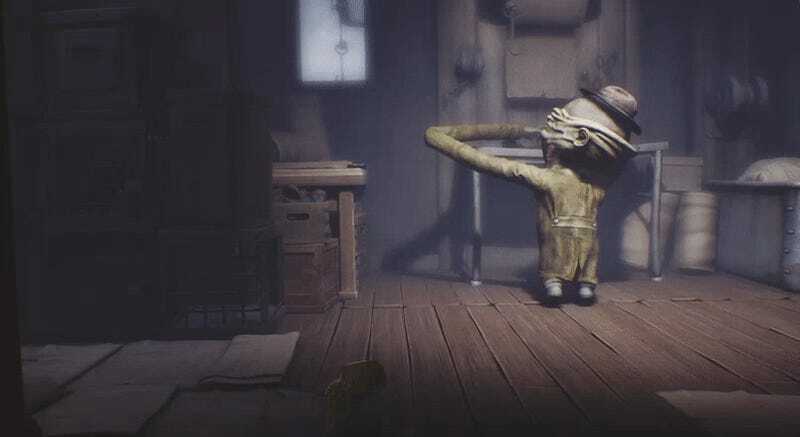 Little Nightmares is like being up late as a child, stumbling after a bad dream. Shadows hide monsters and nothing is as it should be. It’s quiet and unsettling but also nothing that hasn’t been done before. Little Nightmares is a puzzle platformer that comes out tomorrow for Playstation 4, Xbox One, and PC. You play as a small child named Six, searching for a way to escape a surreal ship. Floorboards creak and metal pipes clang as you snake your way through darkness with little more than a lighter and your dwindling courage. It’s traditional, with blocks to push and dangerous leaps to make. Keeping to a standard formula allows Little Nightmares to focus on its consistent and powerful mood: anxiety. There are blood-sucking leeches and gangly, deformed researchers working their mad science. 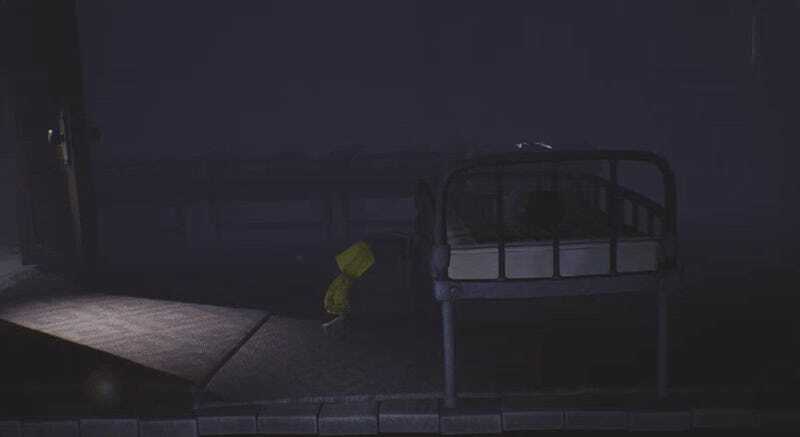 Rather than opting for jump scares or combat, Little Nightmares evokes the feeling of trying to not wake your parents as you sneak downstairs to play Super Nintendo. It’s a nostalgic sensation that helps drive the player forward. There’s something deeply familiar about creeping around in the dark. But despite its unique mood and creepy aesthetic, Little Nightmares lacks variety. Little Nightmares is a game where you push blocks, run from baddies, and watch a young kid get killed over and over. I’ve done that before in Limbo. I did it again when Inside came out last year. Which isn’t to say that Little Nightmares isn’t enjoyable. The world design is stellar and the game moves smoothly from puzzles to chase sequences to pseudo boss battles. Still, some players might feel that they’ve danced this danced before. Little Nightmares won’t scare you to death, but it will bring back memories of the world you knew as a child: large, confusing, dangerous. There’s a pervasive moodiness underneath the safe design that breathes plenty of mystery into the game. I want to return to this world and experience it again. But it doesn’t quite change the fact that if you’ve pushed one box, you’ve basically pushed them all.